Investing in the domestic oil and gas industry can be a rewarding experience for private individuals with the financial, investment, and emotional maturity for investing outside the mainstream. As many accredited investors actively seek viable opportunities, we believe that our partner-friendly approach and unparalleled dedication to communication set us apart from other companies. We would love to opportunity to talk to you about our oil & gas investment opportunities. But first, we would like to introduce you to the core principles that define our way of doing business. At Aresco, we pride ourselves on educating prospective partners, communicating effectively, and allowing the time needed to evaluate each project. We spend a considerable amount of time discussing your investment objectives and risk tolerances and answering your questions before presenting any opportunity. If you are interested in partnering with us, we also actively recommend that you consult with your legal and/or tax professional to see how an investment with Aresco could potentially benefit you. Our oil and gas investments opportunities are structured in your favor. We provide access to industry-grade opportunities where our money is invested right alongside yours. Like you, we work hard for our money and we only put it to work in projects that offer encouraging risk-to-reward profiles and exceptional value for our investment dollar. While many companies focus on ‘front-end loads’ to make big profits, we focus on making the majority of our share of profits after the bit and through the production of oil and gas. In other words, we make money when you make money. In addition to having skin the game, we structure production revenue sharing more favorably to the investor, which directly results in higher ROI potential. We focus on proven producing fields with documented production history. 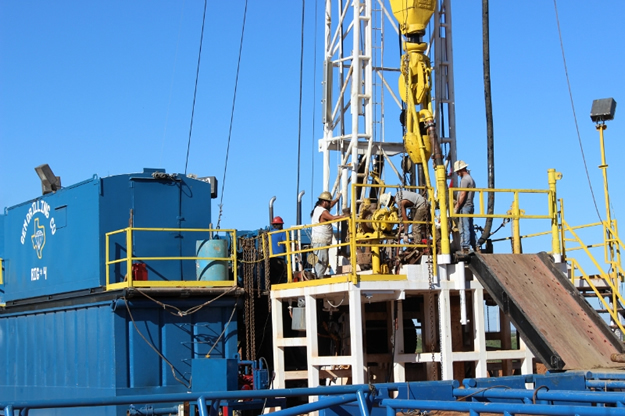 Our drilling activities pursue infield, offset, and PUD wells rather than exploratory or wildcat wells. We are much more interested in making money in proven fields versus losing it trying to be the first to discover oil in an unproven area. In addition, many of our well locations benefit from potential production out of multiple formations, which can increase a project’s overall economics and provide income for longer periods of time. We will not disappear on you or shield you from potential issues. We commonly hear from investors that companies stop returning calls once they get their check or when questions arise about what’s really going on in the oilfield. We feel we must be candid on this topic. Dry holes, or the potential of one, are very much a part of the industry. Every day in the oil patch isn’t a good one. 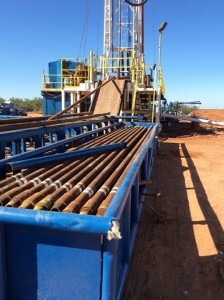 Drilling and completion projects are complex with multiple moving parts and players. A myriad of issues, including delays and equipment repair, can and will arise that must be addressed by the professionals overseeing the operation. We are committed to direct and effective communication to keep you promptly informed concerning ALL news––good or not so good. Our phones are always answered during regular business hours and all voicemail/emails are returned within one business day. Being a faith-based organization, we operate with the utmost integrity in all aspects of our corporate, operations and partnership affairs. Project updates are available 24/7 in our secured Partners Portal. A phone call will always be our preferred method for communicating with our partners. But, in this day and age of computers, smart phones and tablets, giving you access to information at your fingertips seems like a perfect solution for busy lives. If you miss our call, or you are traveling, our Partners Portal provides instant access to important updates, drilling and completion reports, and monthly production information. In addition, we provide detailed explanations of all key activities pertaining to your project, providing an inside look at exactly what’s going on in the field and, more importantly, with your capital investment. I’d like to learn more about your oil and gas investment opportunities in the Texas/New Mexico Permian Basin & the Gulf Coast region. Sorry You must be an accredited investor to receive this information.